When it came time to replace our home heat pump system, we were only knew one thing… we wanted a Trane xl15i heat pump! Since we live in Florida, we knew there was a new rebate system coming up soon also, so we wanted to be sure the company that came to us, was qualified to test our duct as well. 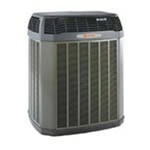 In mid-August, we got our final price quote, and decided on the Trane xl15i heat pump system shown below. Thanks for giving us a place to share the cost on your heat pump prices page. We live in the panhandle of Florida so heat and more importantly, humidity, can be a killer! Our home is a two story 1500 square foot home with a clay tile roof. We have 2 attic ventilators installed as well. Our old system (Still working, but not too good) is a 3.5 ton carrier heat pump that has been here since we bought the house. The previous owner took good care of it, and it has lasted for another 6 years for us. 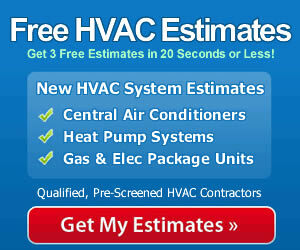 Thanks again for the chance to share our hvac price with you. We cannot wait to have our Trane XL15i heat pump put in next week!